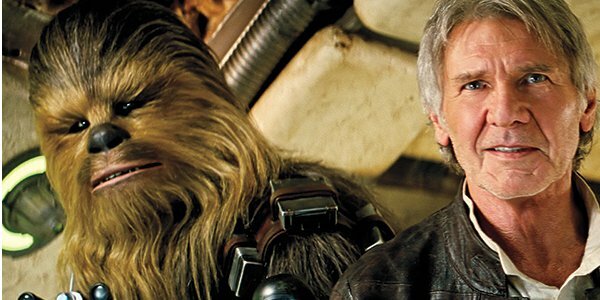 During the production of Star Wars: The Force Awakens, the world was shocked when Harrison Ford sustained an injury involving the set of the Millennium Falcon. Most major productions would fret about missing so much time due to an actor's condition, but co-writer/director J.J. Abrams did what any industrious director would do, and punched up the script. Which is a good thing, considering he originally had a more standoff-ish relationship between Rey and Finn. When I was on the set of the Millennium Falcon and we started to do work with Rey and Finn, the first time we did it, it didn’t work at all. It was much more contentious. I didn’t direct it right. It was set up all wrong, and when Harrison Ford got injured - which was a very scary day - we ended up having a few weeks off, and it was during that time that I really got to look at what we had done and rewrite quite a bit of that relationship. So when we came back to work again, we actually just reshot from the ground up, those scenes. It was an amazingly helpful thing to get these two characters to where they needed to be. Observing the relationship between Daisy Ridley's Rey and John Boyega's Finn and how it seemed to effortlessly develop through Star Wars: The Force Awakens, it's surprising to hear how much trouble J.J. Abrams was having with developing it. Seeing as the two new characters were one of, if not the most important relationship in the seventh installment of the saga, a failure of cohesion between Rey and Finn would have been disastrous for last December's mammoth record breaker. By the point of the film's home video release, the internet would have been choked with references of how "Jar Jar Abrams" screwed the pooch with Disney's golden goose. Strangely enough, this isn't the first time that J.J. Abrams has spoken of the inadvertent advantage that was Harrison Ford's unfortunate accident. In an interview a couple of months ago, Abrams mentioned how the downtime for the production of Star Wars: The Force Awakens was a chance to "re-calibrate" the film for the better. With Ford already laid up and the production being delayed to a certain extent because of it, there were doubts that Star Wars: The Force Awakens would even make its December release date. So the last thing the public needed to hear was that the two main characters were being re-written at the last minute. After all was said and done, Star Wars: The Force Awakens turned out to be a better film than even the most worried fans could have dreamed of. It's strange to think that if it wasn't for Harrison Ford's misfortune, the film may not have been as enjoyable of a finished product as it had ended up. Though now's as good a time as any to hope that Mr. Ford is in good health, and that he doesn't need to be injured again to make Star Wars: Episode VIII into the worthy follow-up it's promising to be.